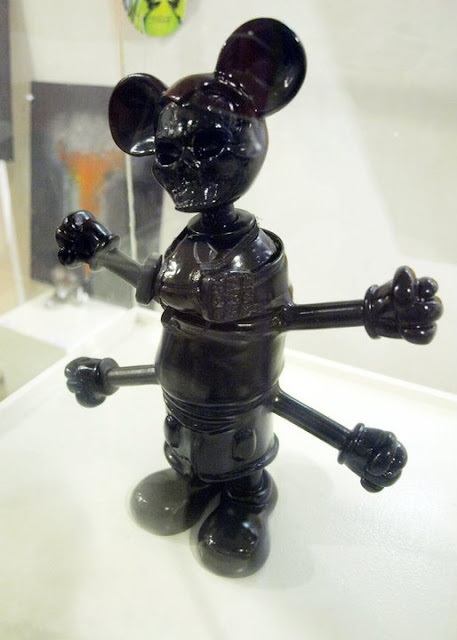 ”Mangled! 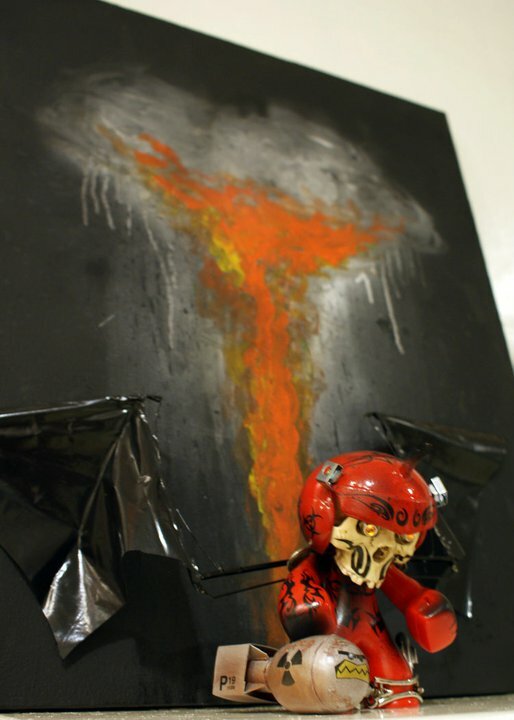 Manipulated! Modified!” screams the poster of BINIL, a custom toy exhibit currently running at Vinyl on Vinyl-The Collective in Malugay, Makati. 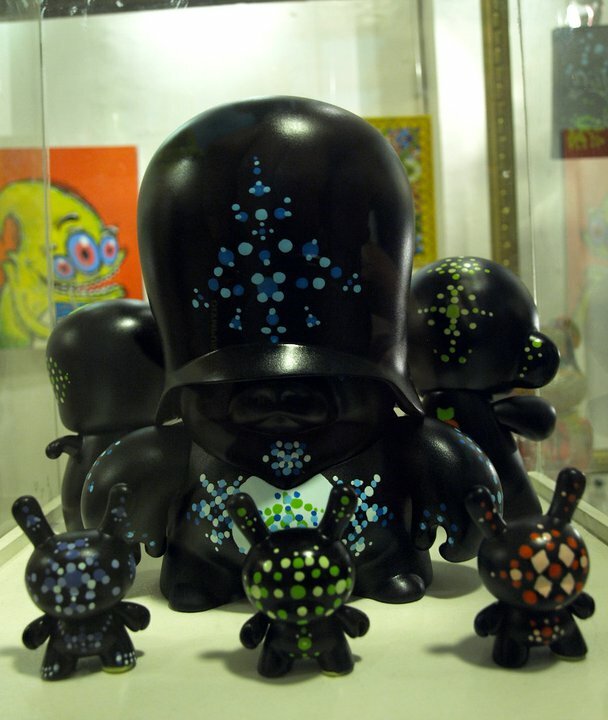 The art freak show features vinyl toys cranked by the creatively mad minds of some of the country’s young artists. They are Spencer Ong and Stephen Ong of Rotobox Vinyl Anatomica, designer of Kuso Vinyl’s Celsius Figure, Nico Deacosta and his Mighty Muggs, Trip 63's Carrotbombing (one of Philippines’ main proponents of graffiti), Whoop, Nemo, Wesndestroy, M.G., Litan, Ira Tan, architect Jomike Tejido with his Robotars and graphic artists Jan Calleja and Gilbert Ibanez . 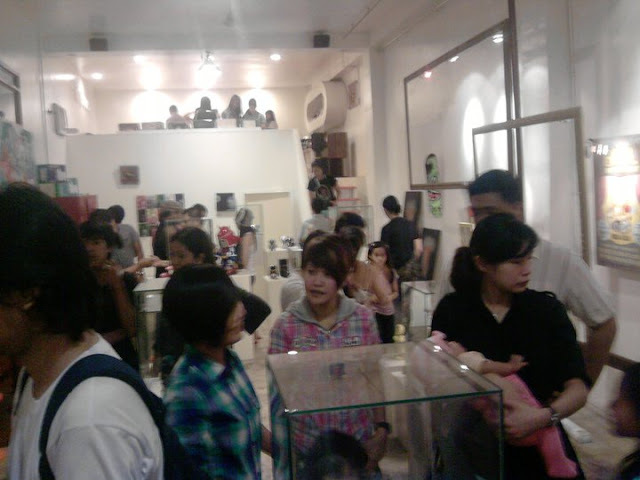 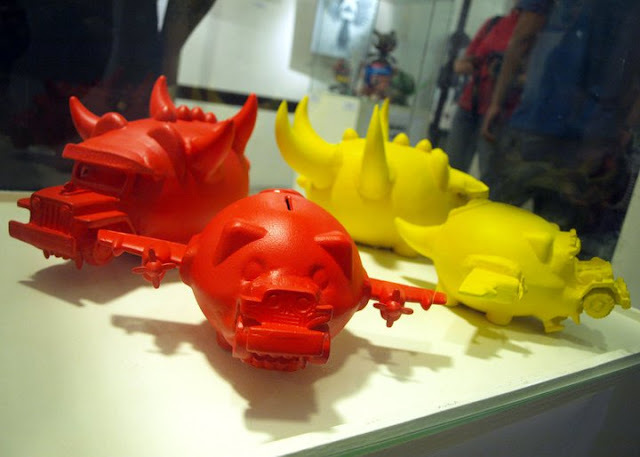 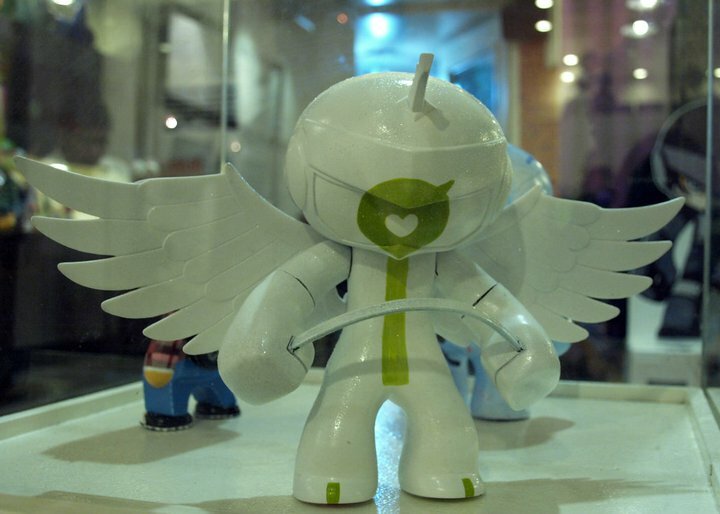 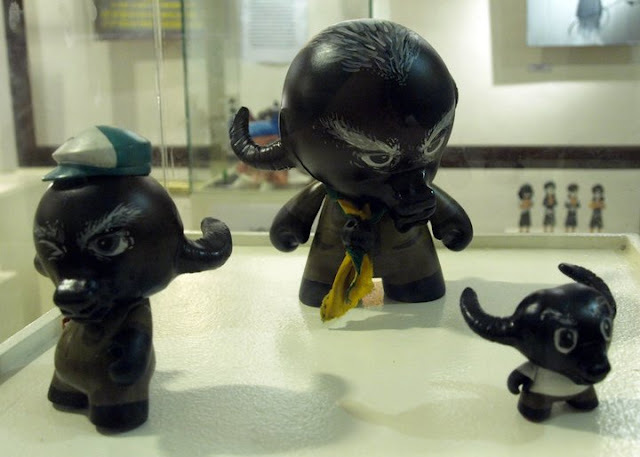 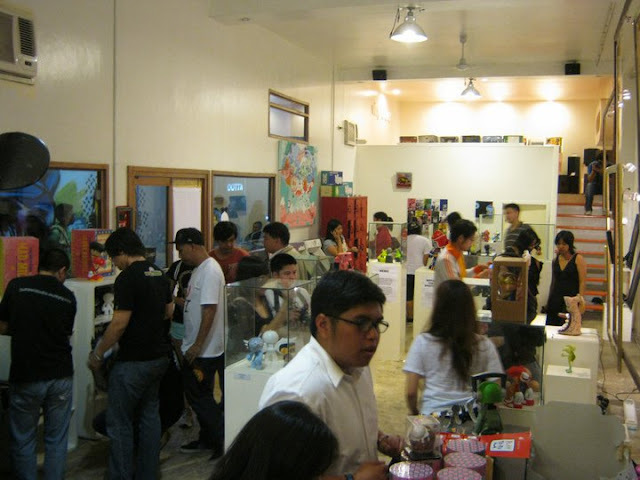 BINIL opened to the delight of vinyl toy enthusiasts and other art aficionados last November 5, 2010. 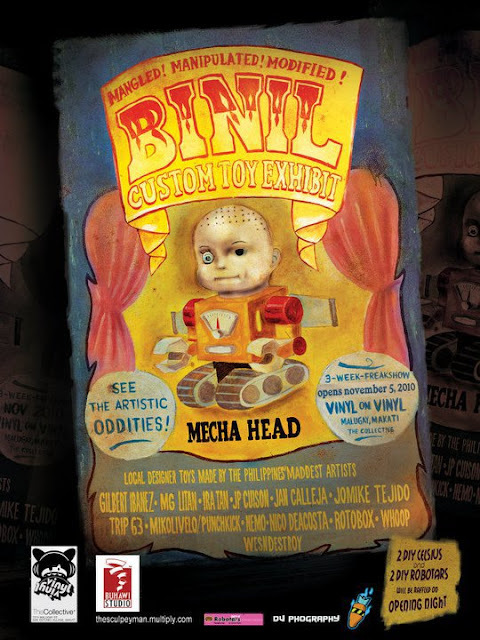 Go check out the freak show before it ends. 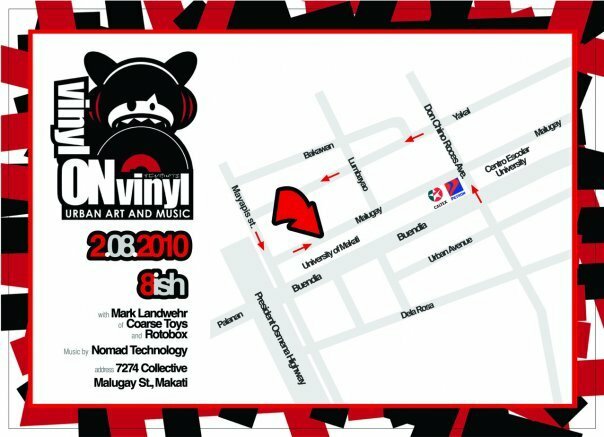 Here’s a map to Vinyl on Vinyl. 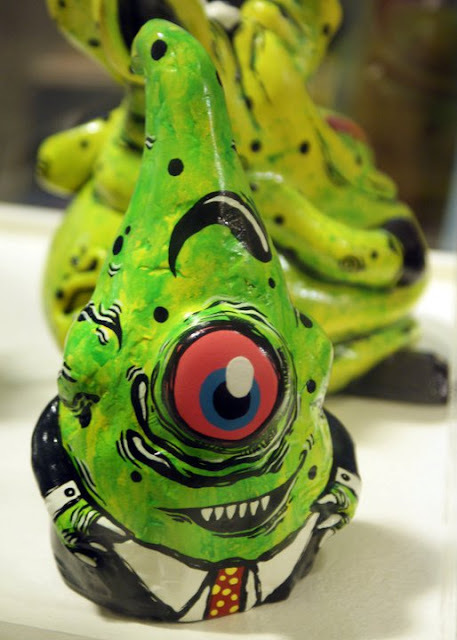 Don’t get lost.